As interior designers, it's our job to tell you that your work environment makes a big impression. As more and more people work from home, this is especially important. Have you ever been on a video conference call? How often do you pay attention to your background? Even if you don't notice your surroundings, others will (including your boss and clients). We've learned from scientific studies on neuroscience that we remember what we see more than what we hear. If your work environment is a disaster and doesn't support your professional image, no matter what you say, no one will take you seriously. All they will remember is the unprofessional background. 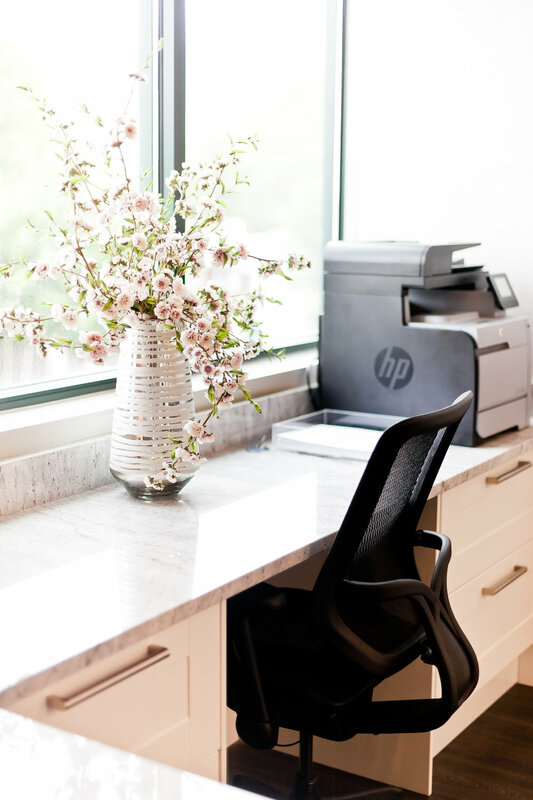 Your home office should look and function professionally. Before your next conference video call, take a critical look at where you'll be sitting. If the view doesn't look professional, try and find a spot that does. If you can't find anyplace that passes, sit in front of a blank wall. In the meantime, you can find a spot in your house to claim as a home office and get it ready for the next video conference call. At LIV, we'd love to help you design and set up your home office so it reflects your professional image. Give us a call and we'll be happy to help! After all, we want your home office to be as professional as you are!